From our soccer family to yours, mention FC PRIDE for 10% OFF YOUR STAY! Welcome FC Pride Cup Participants! We hope you are having a great experience at Pride Cup this weekend! Soccer takes a lot out of us, right? So head to the beach! That’s what we do! Fall break? Spring break? Summer? Or any other time of year? Family vacations, reunions? We can help! 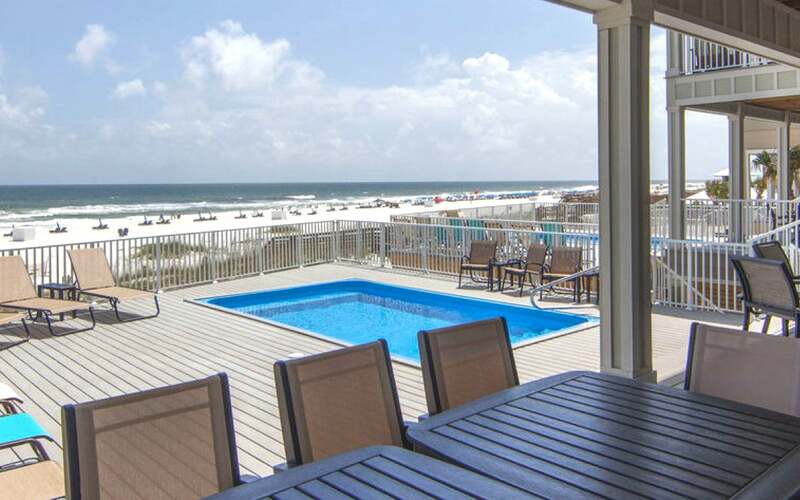 We are a soccer family, and we have some very nice homes right on the beach in Gulf Shores and Orange Beach, Alabama. 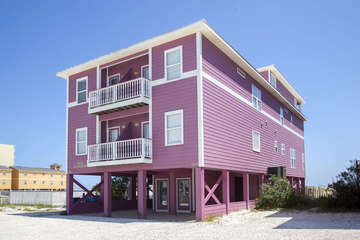 From 3 bedrooms on the lagoon to 12 bedrooms right on the beach (with deck pools and elevators) and more, we have the perfect place for you and your crew! Still working out the codes, so if you have any trouble on the site, just give us a call or send us a note! For 7 night stays in all but the very peak season (mid mid summer), you’ll end up with both a free night AND 10% off, so that’s a 25% discount! Plus, hey, beach soccer is great exercise too! Discounts cannot be combined with other offers, applied to previous bookings, and are, of course, subject to availability–if we don’t have a home open, we can’t lease it to you (right!?)! We’d love to have you stay in one of our places. Best wishes for the rest of the season! 5BR 5BA. Gulf view. Private pool (per side). Across W Beach from the beach. 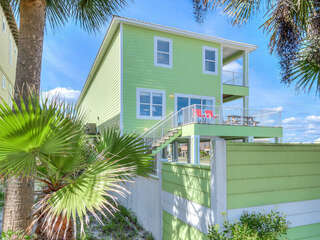 Nice place...for less! Accommodates 18, or 36 with both sides! 10BR 11BA. Beachfront. Pool. Right across from Waves Grocery. Perfect location. Perfect place. Accommodates up 32 using both sides.